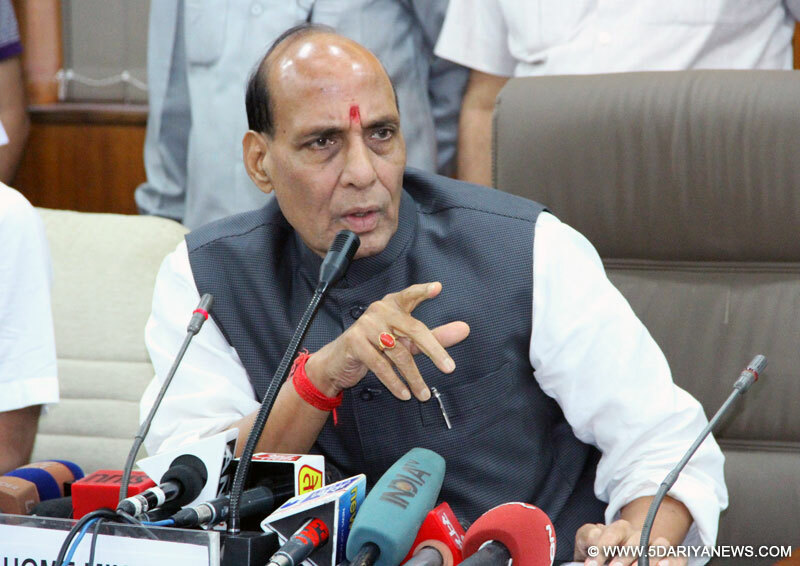 Union Home Minister Rajnath Singh on Sunday warned Pakistan over its repeated attempts to disturb peace in Kashmir, saying the Indian forces won't count bullets if Pakistan fires even once. "Pakistan is trying to disturb peace and tranquility in Jammu and Kashmir time and again, but this practice will not continue for long," Singh said a public meeting in this Himachal Pradesh town.The Indian Army has been given permission not to keep an account of bullets "if Pakistan fires one bullet", he added.The Minister's statement comes a day after two Indian Army soldiers were killed in a militant ambush of an Army convoy on the Jammu-Srinagar National Highway.He said India cannot forget the supreme sacrifice made by its security men.Rajnath Singh was on a day-long visit here to attend Bharatiya Janata Party's Tridev Sammelan aimed at strengthening and mobilising party cadres. Besides Union Health Minister J.P. Nadda, Rajnath Singh was accompanied by two-time former Chief Minister Prem Kumar Dhumal and his son Anurag Thakur, who is member of Parliament from Hamirpur.This Congress-ruled state is slated to go to the polls in November.Taking a jibe at the Virbhadra Singh-led state government, Rajnath Singh accused it of not utilising adequately the central funds for development.He claimed the National Democratic Alliance government at the Centre had been liberal in sanctioning projects and funds but corruption was too rampant in the state.Last month, BJP President Amit Shah was in Kangra district to mobilise party workers.